OCT 30 2010 , This beautiful couple got married in delta hotel . 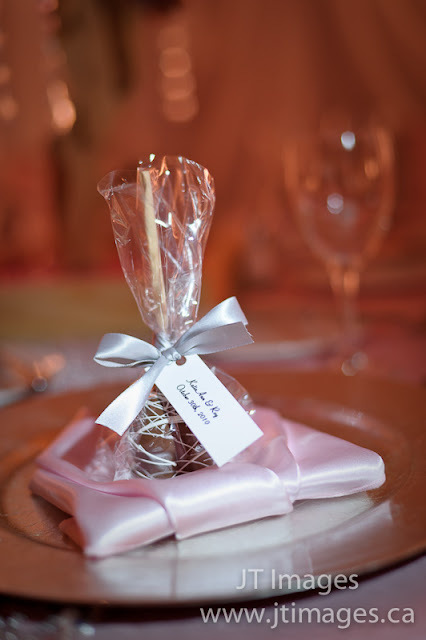 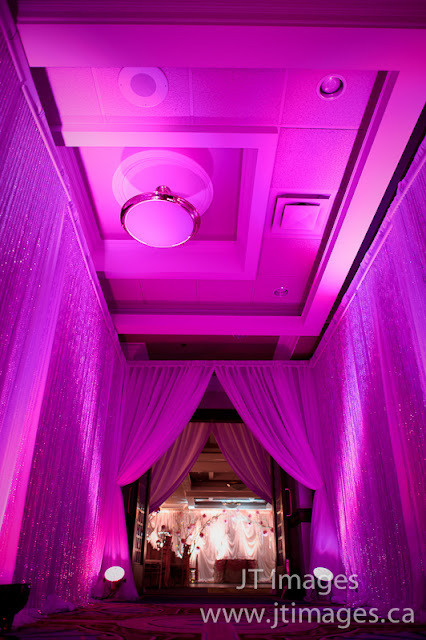 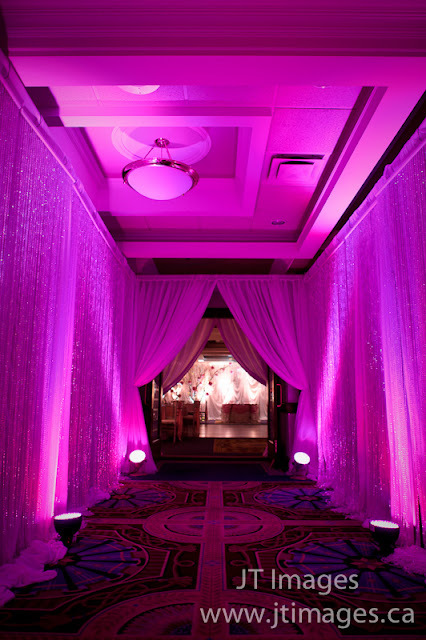 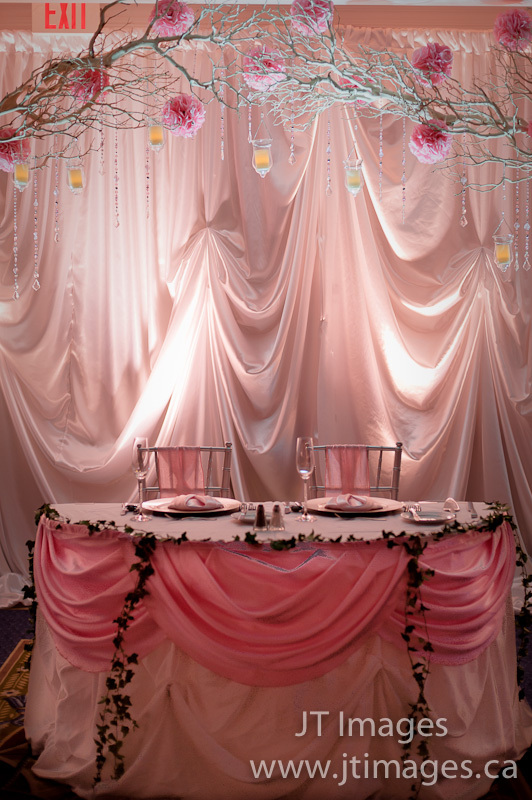 I still remeber the day kate came with a vision for her wedding , she wanted everything baby pink with , whole hotel banquet room draped around with drapery . 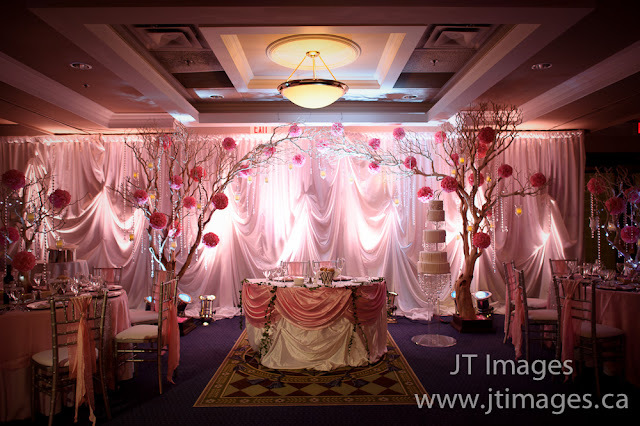 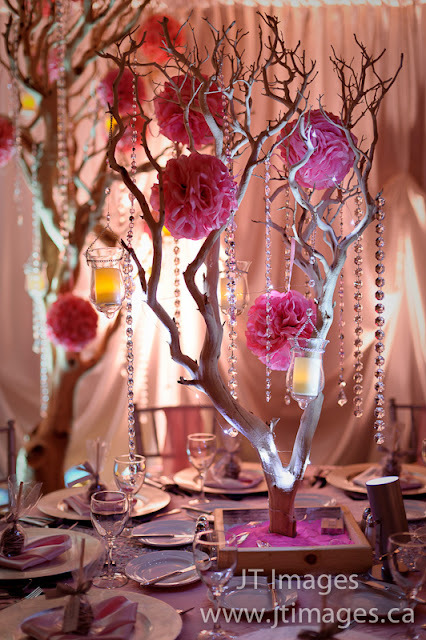 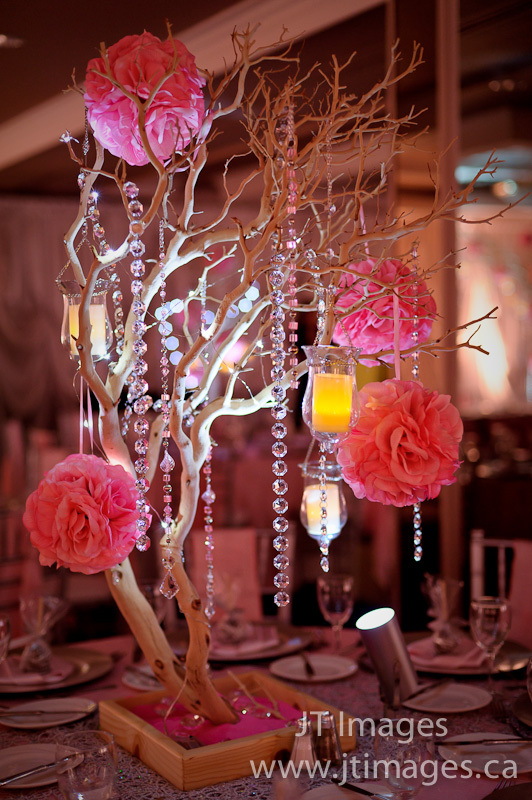 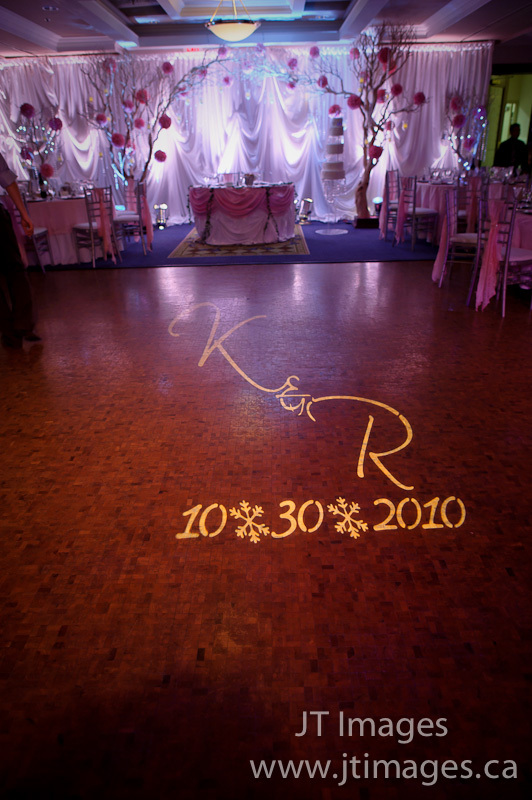 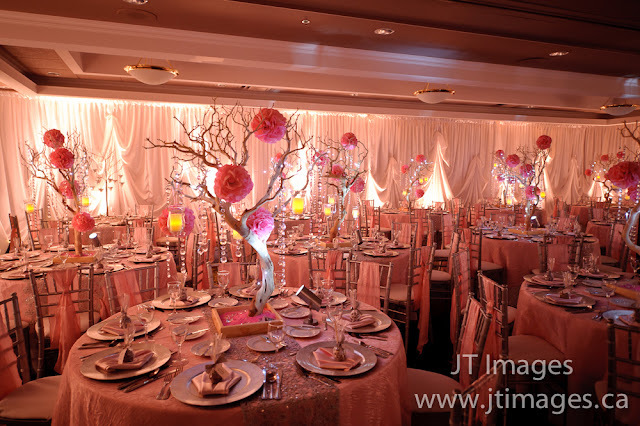 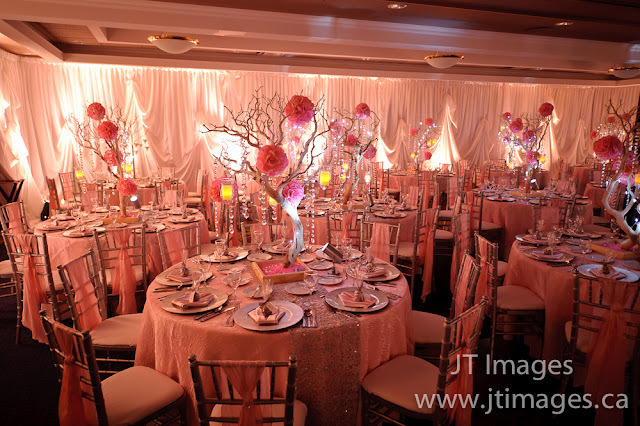 The beautiful mazanita tree centerpieces and stage was made up with 8 ft mazanita trees and branches joined together loaded with crystal and candle votives. 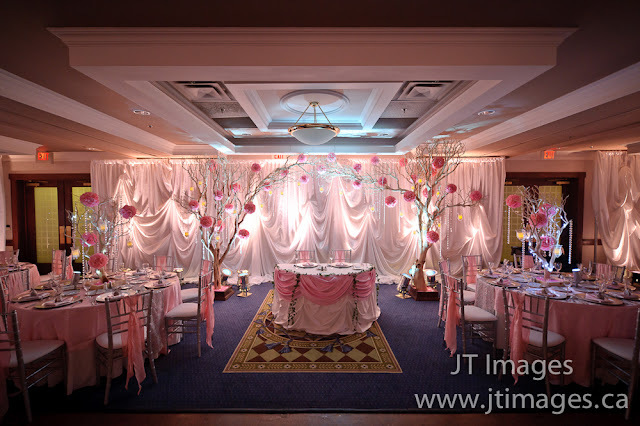 Please see the glimpse of picture of hall provides by johnny from JT Images did a great job at it . 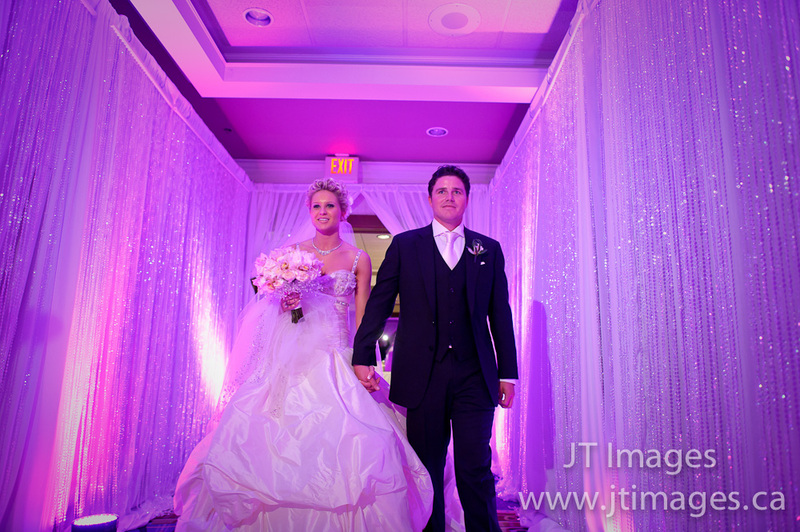 Photo courtesy by JT Images .